It is necessary to recognize that in some spaces of the house it is difficult to maintain order. The kitchen is one of them. Eminently practical, we spend a lot of time daily in this room of the house that is why the kitchen must be properly organized. We know some tricks that can help you and that we have compiled for you in this article. We explain the perfect recipe for a tidy kitchen: simple, accessible and suitable for all kinds of cuisines. Let’s do it! Before you start organizing must plan the order more to suit. 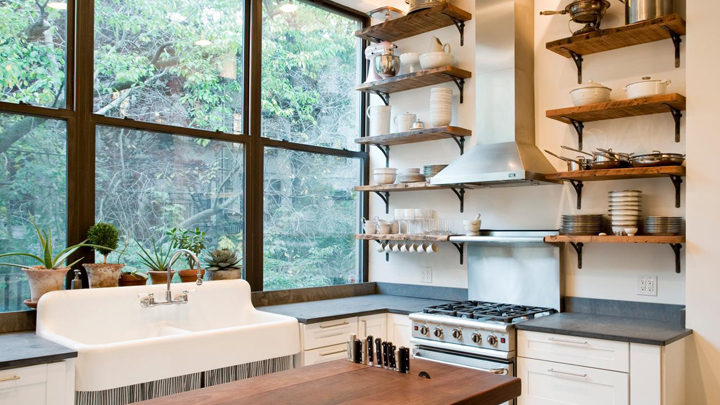 In the kitchen, the ideal is to opt for visible and closed order. That is, the visible with accessories in sight and within reach of our hand and the closed order with the help of drawers and cupboards, where we will keep those things that we do not use so often. For the interior order, it is recommended to organize the shelves and shelves in such a way that the lower part is reserved for the heavier parts, the upper part for the lighter and less used articles and the center for the things that we use more frequently. 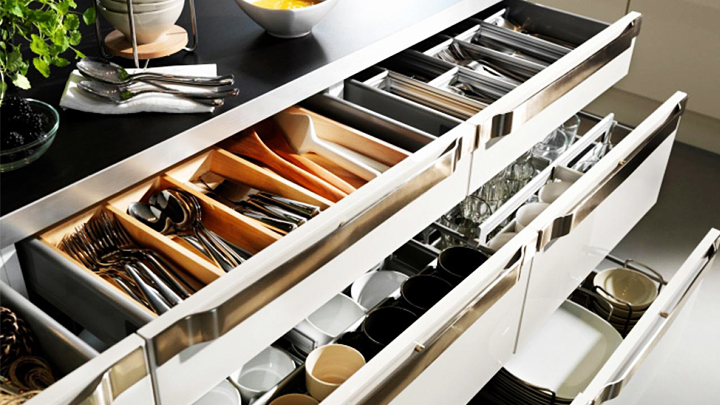 In a well-organized kitchen, we must leave the surfaces free, since they are not a storage space but a workplace. Leverages the walls with solutions order as hanging rods, hooks, rails, etc. 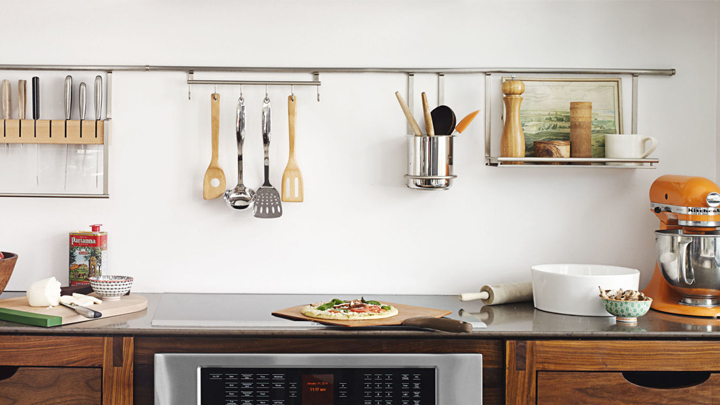 To optimize your time and available space, our advice is to make groups with similar cookware. Showcases and shelves are a practical solution as well as decorative. We allow you to create decorative compositions with our pieces (such as crockery and glasses) and also have them always accessible. If you want to make your order more attractive, group by colors and add some decorative detail like a vase with flowers. Maybe a basket of natural fibers to place cutlery, napkins, table linen, etc. For tableware and glasses, our advice is to stack these accessories by groups, as this will occupy less space. Boles with bowls, cups with cups, bowls with soup plates, flat with plains, glasses with glasses, etc. Not only will you optimize the space, you will also gain practicality on a daily basis and you will make the kitchen look more organized and decorative. And for larger and heavier pieces like pots and pans, group them by size and place them on top of each other. You can use separators to delimit the space. 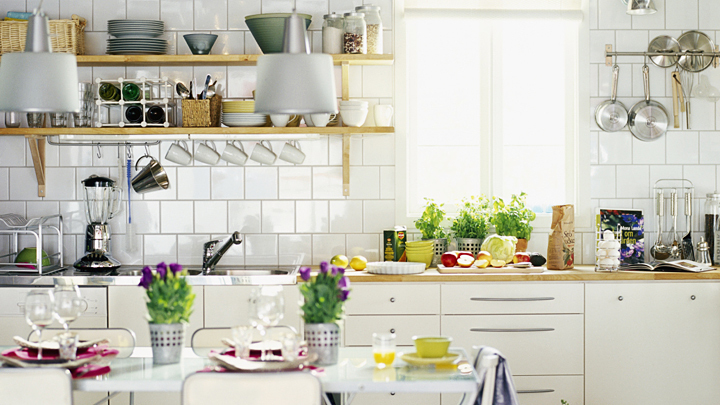 Take advantage of the last corner of your kitchen as a storage solution. And this also includes the space under the sink. Because of its location, this corner is ideal for cleaning accessories. Label, sorts and groups together the different types of cleaning products by: for cooking, laundry, crystals, etc. And, of course, to enjoy a well – organized kitchen, avoid accumulating accessories and products that take up unnecessary space. In this sense, our advice before starting to plan the order of your kitchen is to do cleaning and get rid of everything you do not need. Do you use it? Have you been in your kitchen for some time and practically do not use it? Do not waste space for things you do not need. We also recommend to allocate a space (either inside the kitchen or in another outside room) to create a pantry in which to store your food. This way you will have more free space inside the kitchen. Finally, we also recommend that you use an area for trash and recycling. A secluded corner away from moisture, heat, food and kitchen accessories.